Borussia Dortmund have a great home record against Eintracht Frankfurt (AFP/Getty Images). Borussia Dortmund have dominated Eintracht Frankfurt at the Signal Iduna Park and can earn another Bundesliga win at home on Friday evening. This is a mismatch especially with Frankfurt short of defenders against a potent Dortmund attack. The Lucian Favre era at Borussia Dortmund is off to an unbeaten start. The Black and Yellows' last match was a 0-0 draw at Hannover with Marco Reus going close to a goal on two occasions. The new additions have settled in well with Abdou Diallo and Manuel Akanji developing their central defensive partnership. Alex Witsel and Thomas Delaney have strengthened the midfield alongside Mahmoud Dahoud who could be a sharp improver under his former manager. On loan Barcelona striker Paco Alcácer could start here after playing 74 minutes in a 6-0 friendly win last week. Jacob Bruun Larsen scored four goals against Osnabrück but is behind Reus, Maximilian Philipp, Marius Wolf and Jadon Sancho for the wing positions in addition to the injured Christian Pulisic. Eintracht are off to a rough start under new manager Adi Hütter. Knocked out in the DFB-Pokal 1st round against Ulm, a fortunate 2-0 win at Freiburg in the Bundesliga was followed by a 2-1 home defeat against Werder Bremen. The Eagles battled back from going 1-0 down and Jetro Willems’ red card with Sébastien Haller’s penalty looking to have given the hosts a point. However. Milot Rashica’s last gasp free kick handed Eintracht Frankfurt a disappointing home loss. Hütter has defensive problems here with Timothy Chandler, Carlos Salcedo, Jetro Willems and Marco Russ all out. Evan N'Dicka and Taleb Tawatha should come into the side but they are up against it in Dortmund. Ante Rebic has been ruled out after impressing for Croatia at the World Cup. The home team has traditionally dominated this fixture with Borussia Dortmund winning the last seven encounters at the Signal-Iduna-Park. The last match between these clubs in March was a thrilling 3-2 Borussia Dortmund home win. Danny Blum looked to have given Eintracht a 2-2 draw in added time but Michy Batshuayi’s second goal gave Dortmund the win. 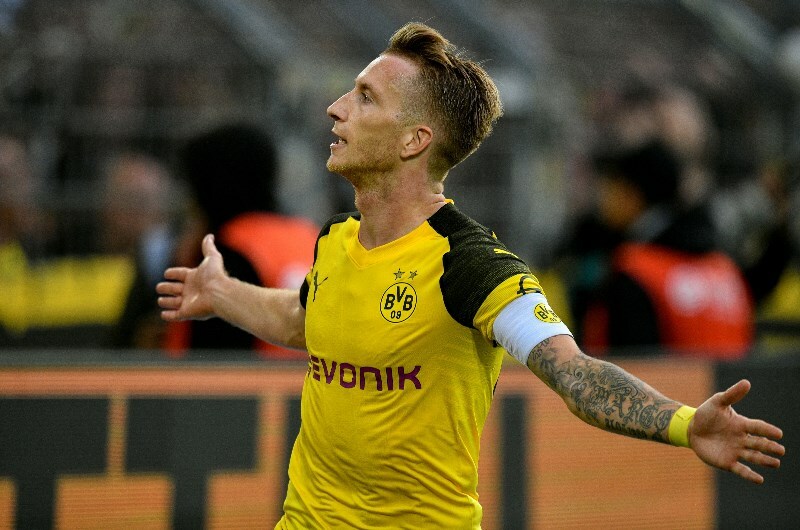 Dortmund's forward Marco Reus will cause Eintracht's defence plenty of problems (AFP/Getty Images). Borussia Dortmund are still figuring things out under Favre especially in attack. 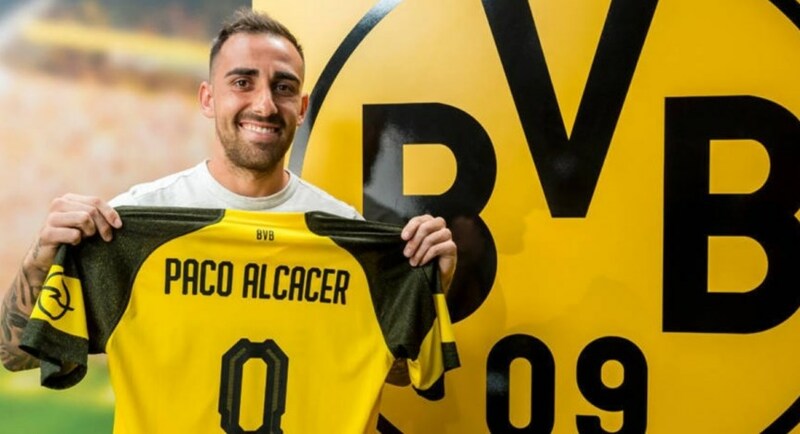 Paco Alcácer should provide a focal point and could profit with so many talented wingers such as Marco Reus outside him. Eintracht Frankfurt’s defensive options are limited here with injuries and suspensions which should play into the hands of Dortmund’s attackers. Borussia Dortmund have won their last 7 home matches against Eintracht Frankfurt (Bundesliga). Borussia Dortmund have scored at least 2 goals in their last 11 home matches against Eintracht Frankfurt (All competitions). Borussia Dortmund have seen over 2.5 goals in 9 of their last 10 home matches against Eintracht Frankfurt (All competitions). Borussia Dortmund have beaten Eintracht Frankfurt by more than 1 goal in 6 of their last 7 home matches (Bundesliga). Eintracht Frankfurt have lost 7 of their last 8 away matches (Bundesliga). Borussia Dortmund have dominated this fixture and should relish playing in front of the Signal Iduna Park faithful. Eintracht Frankfurt's defensive absentees means they can’t be trusted away from home. A Dortmund win at 1.47 represents value for accumulators with a home win and over 2.5 goals double bumping up the price for single bets.